Where were we in 2010? I have used video to embed in my class blog in a low key way so far. We have a Canon digital camera per class for photo taking and video clips. It works well and as a low budget option it is very good. I might take clips of an event and choose clips to put together using Windows Moviemaker. This works reasonably well, and a title, text and music is able to be added. This year I have bought another low budget Canon digital camera as now students are beginning to include the idea of some simple video making into their reportoire. Here is one example of what some of them did in December. I have used Photostory to put photos, voice and music together to make a simple video. 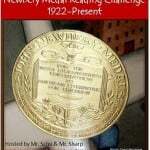 Many of my students used Photostory in 2010 to make book trailers. These worked really well. However getting round some roadblocks slows down the process. We do have a small room the students can use for recording, which is helpful, but using one computer and one mic it takes awhile to process through a class with 30 students. I still believe it was worthwhile and will do it again. Photostory is a great free piece of software. Occasionally I embed video that we have not made but is worth embedding. Last year I found an excellent video made at School Tube on using Glogster. This had been made by another teacher, and was perfect for the purpose. We watched it together, then students could go back to it as needed. I have also embedded a video on cardmaking by a teacher in Greece, from You Tube. We then made some similar cards, organised an animoto with them and alerted her to come and share our success. This year it is my main goal to make and embed a variety of video. Firstly I want to make some video myself to share with parents some of the changes in learning since they were at school. I have a Canon DSLR that I want to use for this, I just need to learn how to use it properly first! I also intend using some software that gives me a lot more choice in editing. At this point in time I am veering towards Vegas Movie Studio. I also want to include the students in helping me to do this. Firstly I will include them in sharing Maths learning with parents. If anyone has seen Mr. Salsich's videos, these are the ones I hold up to myself as a model. I want the students to prepare these, getting them thought out first, writing scripts and then shooting and editing them. I am really looking forward to trying it. That's my starting point! Who knows where we will end up? Please fill out the survey. I am very interested. Also any hints that you have, I would be very interested to hear. Images? Images are great to use in a post. I like to use an image to liven it up. I like it to point to something in the post. When I first started blogging I didn't know anything about creative commons and using photos correctly so I have done my share of using images incorrectly. However through the Edublogs students challenges, I have a far better understanding. When I begin blogging with students now, one of the first sessions will always be about the use of images. Otherwise it is more difficult to break the bad habit of just using what they like. If you are still unsure about this, Henrietta Miller a teacher from Australia on her blog, Techiebrekkie has an excellent post on creative commons, and includes wonderful links. There is a lot to explore and learn in this post. I have spent some time on this post and will be going back for more. Richard Byrne also has an excellent post. I keep a list on the side of my class blog of places where the students and I can go to get images we can use. I recently was alerted to Site point , which lists a number of places that include creative commons. Some of the following come from this, and I will be adding them to my class links. Image Coder is something I had not come across before. I have not explored it very much, but have tried using it for the image at the start of the post. When you put the url for the Flickr photo, it gives you a code with the attribution. When you then click on the photo it takes you to the actual Flickr photo. Maybe I will use it again! I know another controversial topic around images is how we use images of students in posts and in blogging. We have a broad policy at our school, we can use student images with parental permission. We just endeavour to ensure that no students name is linked to a photo. Once last year when I was naming some students who had been selected to participate in a district challenge, I put their avatar pictures. In my classroom last year we used Photostory 2, free software where we were able to place our photos, add voice and music. It is a very easy piece of software to use for the students, and we made good use of it. One of the activities we did was to make book trailers. I won't put the examples here because I think we should have put attributions at the end and we didn't. It's all a learning curve, and when you do it, you can then look at what needs to be improved. Following is a short piece of work some students and I put together in October last year. You will notice this is on You Tube. We do have You Tube open at school, to staff and students, however I now use School Tube. Finally I had a little quick fun on Animoto, which I also use at times in my class, the Education deal is very good! Free! And you can link a number of students through your account. Maybe? Maybe Not? I have made a different Avatar made in abi-station. I rather like it, it has slightly messy hair, which mine can become in class, however I will be keeping the avatar that I use around the web. So what are avatars you ask? Well they are digital images that depict us, an image of ourselves that we use consistently around the internet when we are commenting on blogs etc. While some people use their real photos, often people in education use an avatar. I use such a one because for safety reasons we encourage students to use an avatar. Besides that its rather fun! I like them because they're wrinkle free!! I recognise other peoples avatar if I see them often enough. One such avatar is Miss Wyatt's avatar. What a funky avatar. I envisioned her in her 30's. It wasn't only her avatar but her energy in edublogs challenges that mislead me. I found out just a few weeks ago she has just this year to retirement. On this blog, the one I use is both my blog avatar and comment avatar. As far as I can remember I made this in Moeruavatar. On my class blog it is my comment avatar; I have my actual photo for my blog avatar. I have used this avatar consistently over the last two years and it feels me! It shows up on all Edublog's blogs. Also it links to my email, I registered it somewhere so that if would do so. I am sorry but what I did has sunk into the mists of time! My students have their own avatars too. Some of them changed them the second year around, but this year I think I will be encouraging them to keep with what they have, because after awhile I begin to recognise avatars as I do names. My avatar is dressed in yellow because its one of my favourite colours; I drive a yellow car! I wear glasses all the time, even though I sometimes take them off in photos! My user name around the internet is Mistea, if it hasn't been used when I join up. Although in commenting generally I use my own first name Kathryn or Miss T, when commenting on student blogs. I drink numerous cups of tea in a day, I have my own teapot at school, because I drink more than one cup in a sitting, hence my username. Another username I occasionally use is Katenz. That one should be obvious. RSS Feeds? I use a Google reader. I have set it up to feed in all my students posts, and they also show up in a widget from my google reader on our class blog. I also have other envelopes for some favourite blogs. I keep it reasonably simple, I don't overload myself. I also have my iGoogle home page with feeds there. I keep this for my top blogs, the ones I instantly want to know about when I log on. So for example at present the Teacher Challenge is sitting there at the top of this page. It shows the first three posts links on that blog. Very handly. One Word Summary for the Year. Gretchen Rubin has an interesting video out this week. She suggests that we have a one word summary theme for the year. So I am thinking about mine. One possibility is personal voice. I need to think about it a little more. If you had a one word summary, what would it be? Setting up Pages on my Blog. "Faith is taking the first step even when you don't see the staircase." Marting Luther King. My blog now has two extra pages. When I began the teacher blogging challenge I had no About Me page, nor did I have a contact form. I see these two new pages as being obvious ones for any blog. Now it is going to take me awhile to think of what other pages I need or want to add. Hence the Martin Luther King quote, in honour of the date yesterday/today! I did have a brief About Me on the sidebar. I have done a little spring cleaning to that. I have changed the words About Me, to read Welcome. I have also shortened what I have placed there. Instead I now have a full About Me page. I have chosen a few photos that give a brief overview. I note to myself that I prefer to be behind a camera, rather than in front of it. This year I think I will make sure that I get some more, so I can put a few of me in the classroom, into my About Me page. I did some thinking about a Contact Me Form and decided to give it its own page. To have this somewhere on my blog is important. Last year I missed a comment from a teacher who was inviting our class to join The Bloggers Cafe. We had skyped earlier in the year, and H Miller was inviting us to some more collaboration through this blog. I missed the comment of invitation, it went straight to spam and I only found it a few weeks ago. Fortunately we can join in this year, but I can see that a Contact form is vital. On my classroom page, pages were made naturally as the need arose, over the last few years. I think it will be more difficult to decide the other pages on my teacher blog. I have a few ideas, possibly a page on the kinds of tools I have explored in my class. Another page could contain my goals for 2011 and so on. I think both those pages would be of benefit because it would either strike a spark for other teachers that they might try something similar. Or they may have some pertinent advice to give that would save me a lot of mucking around in my learning. Self taught is great, but sometimes not the most economical! How I Found Out I Can Set Target Links to Posts! Since I began the teacher blogging challenge I have been learning some new things. I have found out it is helpful for your reader to have a window close if I have directed my reader to another blog post on another site. When the reader has read it, they can just click it away. How did I learn this, well one of the teachers doing the challenge suggested this helps make an effective post. I never even dreamed of that one! It has shown me yet again, that visiting other blogs is a very important part of this challenge. I learn from it. Not many mentioned this aspect of a post. It wasn't until I happened in on Mel Cashen that I began to go on this mini exploration! Thanks Mel. I have seen that done but I didn't know how to do it. I went on a rather long mission, tried various things suggested by people that didn't work for me. Well then I went to Blogger help. Of course, I know that should have been first port of call. 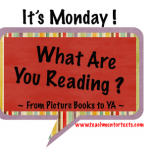 I then did some reading by Kay McGriff and she has a post on better blogging. She makes some good points. And she has her links opening in a window that closes!! Kay has obviously been blogging longer than myself. Or is just somewhat more savvy! At first I did the link using the link button but it was rather odd. However I tried it again without the button, just put in the html code and it was great. I have another new skill. I wish I could go one step further and show the html for this, but I can't get it to stay in the html coding, it turns itself into text! Anway it can be found at Blogger help. 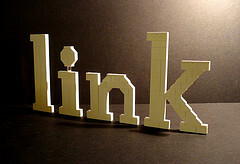 Yes I could have linked but Blogger is being difficult and I am outa here! Seven steps to an effective post. Are you a blogger/teacher that has an idea that just comes and then you write a post and publish it? Or are you a blogger/teacher that takes some time to think about how your post can be a really effective one? If you come in the first category then you are like me, a little harried as a teacher and just to get a post published is an achievement! However like myself you may want to fall more and more into the second category. Er.... and as a teacher wouldn't you just love to see effective posts from your students on a very regular basis. I have listed some steps that I want to incorporate into my posts to make them more effective. Know the Purpose of Your Post. Once you have decided on your audience, you are then going to need to make sure you write your post so that the people you write for are either enriched, entertained, or shown how to do something. Then again it might be you are giving them the opportunity to share in an experience that you have had, which may touch them or that they can connect with in some way. Possibly they may strongly agree or disagree with you. If you manage to have them disagree with you then that may open up a whole new dialogue. As teachers I would like you to know that for many of us we spend much time alone in the classroom and we don't see what other teachers are doing. So there you have a purpose straight away, there are nosey teachers like me who want to see a little into your experience. It inspires and teaches and possibly you didn't even set out to do that, but it does! If you value what you want to post about, then it is highly likely in my opinion, that it is worth sharing. For example on a classroom blog it may be to share something that you know parents will enjoy seeing or will learn from. 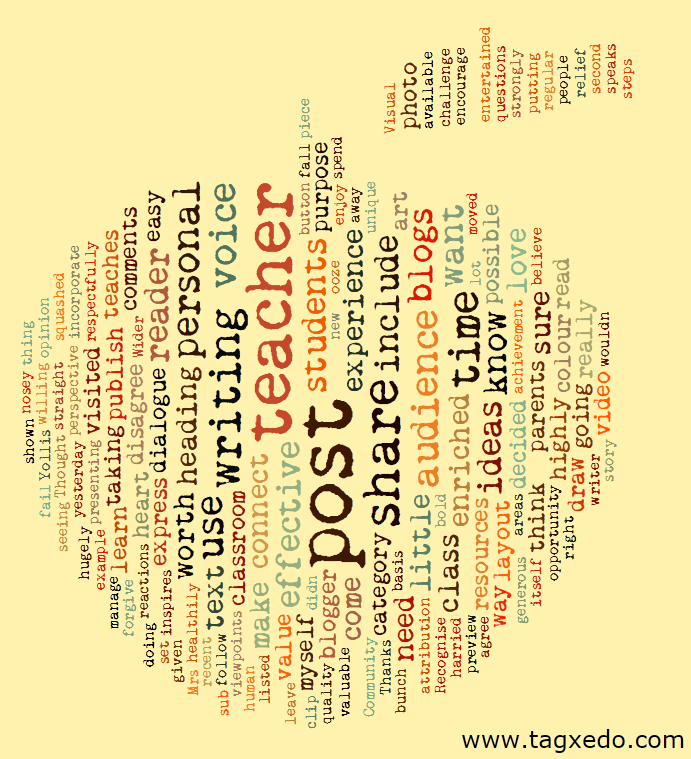 From the recent blogs that I have visited some teachers are very generous and share their ideas and resources. 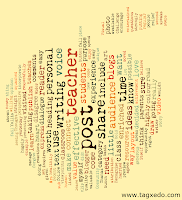 As part of the teacher blogging challenge I visited many blogs that had so much to share. Here is one, a relief teacher, willing to share his ideas and resources. Let Your Personal Voice Come Through. Do you love a piece of writing where you really get to hear the personal voice of the writer? I can forgive a post that might fail in some of the other areas, but I just love a post with personal voice. I have a student in my class and her posts ooze personal voice. Each one of us is unique, we each have a perspective that no one else has. When we express it, healthily and respectfully, we enrich others. Go for personal voice. Your reader will connect with you. Here is a story I connected to with my heart, just yesterday, as I perused posts from the teacher blogging challenge. Put Some Thought into Layout. A bunch of text all squashed together is going to put your audience off. So taking some time to think about how it will be easier for your reader to follow is important. Included in layout is the heading. Put some time into a heading that will draw your audience in. Use bold text for sub-headings. Perhaps a little colour. Make sure though, if you use colour, use one that is easy to read! Before you publish take some time to re-read! Yes out loud!! Take the time to push the preview button. Yes, teachers need to do that too! A lot of text can be off putting. 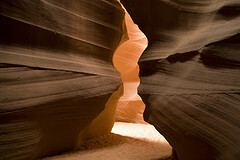 I like to include a photo or clip-art when I post where possible. If you are using someone else's art or photo, just make sure you have the right to do that and show attribution if it is available for your use. The other thing you can do is include a video. Perhaps the video is the post. That can be hugely effective in itself. Here is a post that I find highly effective, its about how to leave quality comments. Thanks to Mrs Yollis' class, my class and I were able to learn from this very informative post. Draw your reader into dialogue. Recognise that your reader will have viewpoints, reactions, questions...... so encourage them in some way to express them in the comments, so that the post can become enriched by them. One way to do this is to respond to readers comments, that they have taken the time to leave. Lastly a question I leave to you my reader. Do you think there is a place for a teacher post that has the 'self' as audience? I didn't include that in my list of possible audiences, is there a place for the post that has 'myself' as audience. Leaving aside of course the fact often many of us only have the self for audience! 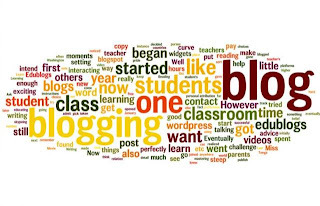 I began with a classroom blog in 2009. I started that blog in edublogs and it is one I pay for. I started this teacher one a little while later, to find out what blogspot was like in relation to edublogs. I also started a personal blog in wordpress to see how that operated. What did you learn about the different platforms? Edublogs is my first preference. I like the way it operates very much. I don't spend enough time looking at the ins and outs of blogspot, so I can't say I am any expert in it. It does the basics for me. The Wordpress one is fine, because edublogs uses wordpress. What I don't like in wordpress, my one, is that you can't post videos unless you pay, and you can't put in other flash type widgets. So I found out I had made a very good choice using Edublogs. I started blogging because for a number of years I had wanted to publish student work on line. Eventually I decided blogging would do that for me. I explored blogging a little and set up an edublog during our summer break in January 2009. Well it was a very steep learning curve setting up that blog. There was no one at my school who blogged, nor anyone that I knew anywhere. I spent hours reading edublogs tips etc! Each time I mastered something I felt really good. When I noticed a challenge in March 2009 I joined it and sort of did it. I began to learn about widgets etc. I can remember the first time I tried to put in a pet widget, I spent hours! Eventually I found a post on a student's blog from Miss W's class that gave the instructions in enough detail for me to be successful. I blush now to admit how hard it was. Now my students do it in a blink of an eye. I began to want to add videos. Again that was a steep learning curve, as I tried out Windows Movie Maker. I got there. I am someone who perseveres! I am not sure of this one, there were many mini exciting moments! First of all the pride in mastering each new step. However as the first challenge went on, it was things such as making contact with teachers in other countries. Learning from them. Last year I got a huge buzz out of the fact I could show Mrs Yollis' video on commenting to my class. 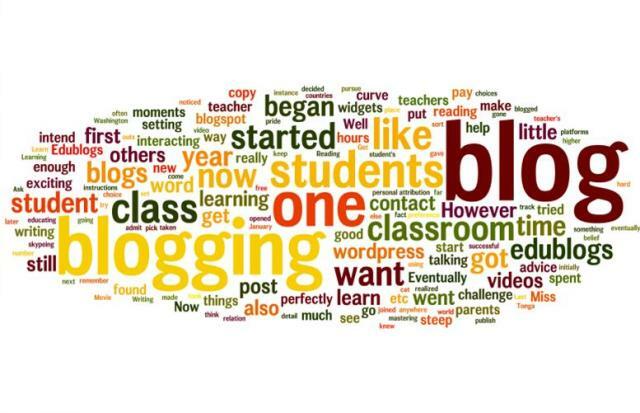 While I had started blogging initially to showcase my students' writing, I now realized that blogging opened me and my classroom up to the world. Any other stand out moments? We have been able to keep in contact with students who went to Australia, to Washington DC and now one is going to Tonga. They all went because of Dad's jobs. These students have kept in contact through the blog and a little skypeing! What motivates me to blog? I have a belief in it. It has come from myself, no one else has said do it. I like it. I don't post so often on this my teacher blog. However I intend to remedy that this year. Up until now much of my time has gone into the classroom blog and student blogging. Now I have a team of students who can help others so now I am free to pursue my own interests! In 2011 I intend continuing the class blog, and setting up new students with their own blogs. For this blog I want to track my development of my writing and reading programmes in my classroom. I also want to make some videos for my classroom blog to share with parents about our learning in Maths, Reading and Writing. And talking about parents. Well I would really like to try and get them interacting more with the class blog. I had about 3 interacting last year. I want to up that! What advice do I have for teachers beginning to blog? Get in there and do it. Ask for help. I would ask around when I began, on other teacher's blogs. Mostly I got answers. Occasionally I didn't. Learn as you go. You don't have to do it perfectly. There are still things I don't get perfectly, but from others you eventually pick it up. One such instance for me was attribution of pictures. Thanks Miss W. who did a great job there, educating us. 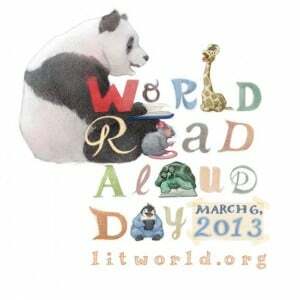 The other word of advice is read other class blogs. That is another place I learned. Oh, they can do that? So I can too! Be a copy cat! Kids get so upset when others copy them! I see it as a way to learn. Of course I am not talking about out and out copying word for word. But getting ideas. My student blogs! Some of them have taken blogging to a higher level than myself! I think of Teegan who entered my class after the middle of the year. She took to blogging like a duck to water, it was a joy to behold. Some of them haven't got that far! It's okay. I am still reflecting on boundaries for my students with blogging. I want it to be their own, where they make most of the choices. However I also recognise it is a student blog and they have certain responsibilities and tasks to accomplish. I am still working on that one. Also some of them get their blogs so full of bling that it is overkill. My pet hate on my students' blogs? Sounds that keep going when you arrive on the blog. I HATE THAT! So what is your pet hate? What do I want to do to assess writing? * I want it to be simple and manageable. * There will be the times of school formal assessment and we are using e-asttle for that. 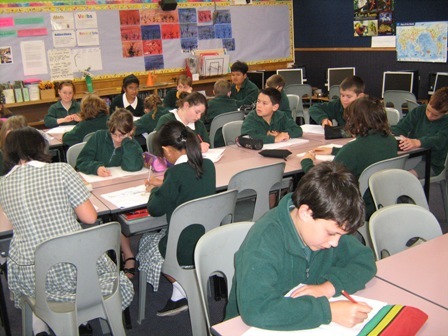 * Each conference will provide formative assessment, plus checking writer's notebooks will add to it. * As the year progresses I will endeavour to use this assessment material to guide some of my teaching. * Each time I start a new unit, if I have students write a before piece of writing, and check then on how they developed over the unit, with a piece of writing that is similar. Both these pieces of writing will be done without the aid of a teacher or peer, and have a time limit. * Have students reflect on finished pieces of writing, with three or four questions to guide them with this. This is one area I really want to improve my skills in this year. As well as reading Day by Day I have been reading Lori Rog and various web sites. One insight, long overdue, that came to me is that I shouldn't follow one person's recipe. I can read around and then decide what I will do. I don't want to make someone else the guru! I guess we are fortunate in New Zealand, generally we don't have anyone saying 'you must do it this way.' As well at our particular school we have a Principal and staff who are open to each teacher exploring their own pathway. At this point in time I think I will use a notebook with a pages for each student. I need to record the date, compliment, and teaching point. Also the topic and genre. I think I will need a one page at a glance sheet as well where I can check that I have met each student for some type of conference each week. I think some conferences will be more check in, quick ones, so this would be a way of recording that. I do not want to tie myself up in knots! Ayres and Shubitz discuss the choice of words spoken by the teacher in conferencing. I think they have a point, and once I get going I am going to reflect more on that. At this point I think I will need to record myself to check up on what I am doing well and what I need to develop. The other part of conferencing is the peer conference. I want to make this useful and meaningful. I will take it slowly but will start it off in the first unit. The unit I think I will start with is a routines and organisational unit, maybe two weeks long, that will get these things set up. I think I will partner the students, (dicey!) and perhaps to begin with have them stick to the same partner for a month. I will need to do the partnering, otherwise leaves it up to friends choosing friends. I think I will have three peer conferencing places, so if they are being used, others will need to wait. They can do something else in the meantime. At another time I will think through how to model this for the students. Mainly I think it needs to be kept simple, and go with the compliment, possibly asking a question, and giving one idea for developing the writing. After reading Chapter One. Day by Day. Give my class the three guidelines from Ch 1. 1) Become a strong writer. 2) Be respectful. 3) Come ready to learn. I will get them to discuss in pairs and then back to the larger group. We'll come up with a fleshed out list that they have decided. I think setting deadlines for work to be complete is important to... will need to think that through. I need to set deadlines and so do the students! Boundaries - setting them and adherring to them will be important too. So where they work, how they converse, how they move about need to be covered. One point I really liked was that the students take time before they leave the class lesson to plan how they are going to spend the writing time. At least 3 ideas. It makes them focus. Definitely going to try that one. The sharing time too is important. I will begin with getting them to share with partners. Sometimes with the whole group. Eventually there will be published work that will be more formally shared. At this point when we share with whole class I will get the combined group to come up with a compliment and a connection and something that has inspired another class member. Later when we get to peer conferencing I can move that on. At first I was not into the celebration part of sharing the published writing, however I might try something at the end of our first term, (10 weeks). Low key, but I think the students might appreciate it. Anyone would think I never taught writing before. I remember back in the '70's and '80's process writing was the thing! But somehow it never worked. So many students wrote rubbish! However I can see there is the possibility with the right routines, boundaries and input from the teacher, this way of approaching writing can be very motivating and successful. Most schools in America seem to run writing workshop. I am not sure if New Zealand schools do? Or do all American schools do it? Maybe not. an artifacts section - photos, bits and pieces etc. a craft section - where they can try out things they are learning about, revising a sentence or paragraph, various leads for a piece of work, etc. a mentor/model section -here they can place leads, endings, sentences, words ...from authors that they read. They can then use these to craft their own, modelled on the authors. I think I will have a vocabulary part to this, where they gather words, that they then endeavour to include somewhere in their own writing. assigned tasks by teacher, plus own tasks - I envision this as something where after the mini lesson they may have some task or practice to do. Or they may have a few paragraphs of something of their own. Or thinking the next day, perhaps it would be better to have these five types of entries all following on page after page. Artifacts in the back. At the front of this notebook will be a sheet glued into the inside cover that will list expectations for this notebook. I like the idea of rotating various students notebooks for sighting by the teacher. So I will see five a day. 25 students = five days! Oh what bliss, only 25 this year - I hope! I will keep to what we have always done and have a draft exercise book. We will keep that for drafting. I will set up spots for them to drop their writers' notebooks into, and draft as well. Two for that, one for the first conference and one for the polish conference when they are publishing. So today is January the 1st. It's traditional to make resolutions! Well I don't do them well, however I have some intentions for the year related to teaching. To develop my teaching of writing further. I intend to document it in some way, perhaps by recording it on this blog. I want to explore using writer's workshop, but I won't actually call it that, nor will I adopt all its aspects immediately. Go slowly will be the motto. I have found some excellent writing websites. The Two Writing Teachers. They also have a site here. They can also be found on Facebook. I must add them to my page. The Northern Nevada Writing Project is another rich resource that I will use. Through it I also learned aboutThe Writing Fix is a website linked to the Nevada project, so I will give it its own link. 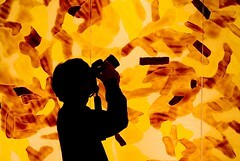 Corbett Harrison and Dena Harrison. Both of these are literary educators and have work on the above two other blogs that I will add in to explore. Deb Renner has a site called Writing Every Day Works. She has co authored a book with P. Cunningham about Beyond Retelling that I would like to read. I will also reread some of the books I have already read on writing and at present I have done a quick skim through of Day by Day. Refining Writing Workshop Through 180 Days of Reflective Practice. By the Two Writing Teachers. This book wasn't quite what I thought it would be. However its full of reflective discussion and I will use it through the year. However it is just that, a guide for reflecting on one's own teaching of writing, it's not a book I could use to teach lessons. However there are plenty of books and websites out there that do just that! So that's just the writing side of things! I also want to build on the reading programme I ran last year. I want to introduce the whole class to reciprocal reading. The way one group worked with Jill Eggleton's Connectors was an indication to me that this can work! So at present I am reading Reciprocal Teaching at Work. This is by Lori Oczkus. I am finding it very helpful and interesting. Again I won't use it totally the way its presented. I will use what will work for me out of it. However its packed with great tips and ideas. I hope through beginning in Term 1 with reciprocal reading, that this will really help comprehension strategies be developed. Especially by those students whose comprehension puts them at risk. In term 2 then I hope to springboard from this into working with other strategies. (Reciprocal reading develops mainly 4 strategies). I want to make some simple videos on reading to put on my class blog, mainly for parents at this stage, to let them know what we are doing. Maybe if that goes according to plan I may make some writing videos. Firstly I have to master a new camera! How to use it and how to use Vegas studio software. Up until now I have only used windows movie maker. However my new Canon 550d camera doesn't relate to that! So that is going to be a steep learning curve first!